This is the card I made for my mother – Happy Mother’s Day, Mom! With her love of the beach, I thought this set would be perfect. I used the distress inks to make the sky & water and then heat set it. I stamped the images without wetting it more. The mountain is done in Mossy Meadow, but looks really brown in the photo. I finished off the card with a bit of DSP and a tag. I didn’t have a “mother’s day” sentiment that would fit the tag so I just went with the underlying sentiment of sending my love. It is time for another CASology challenge. 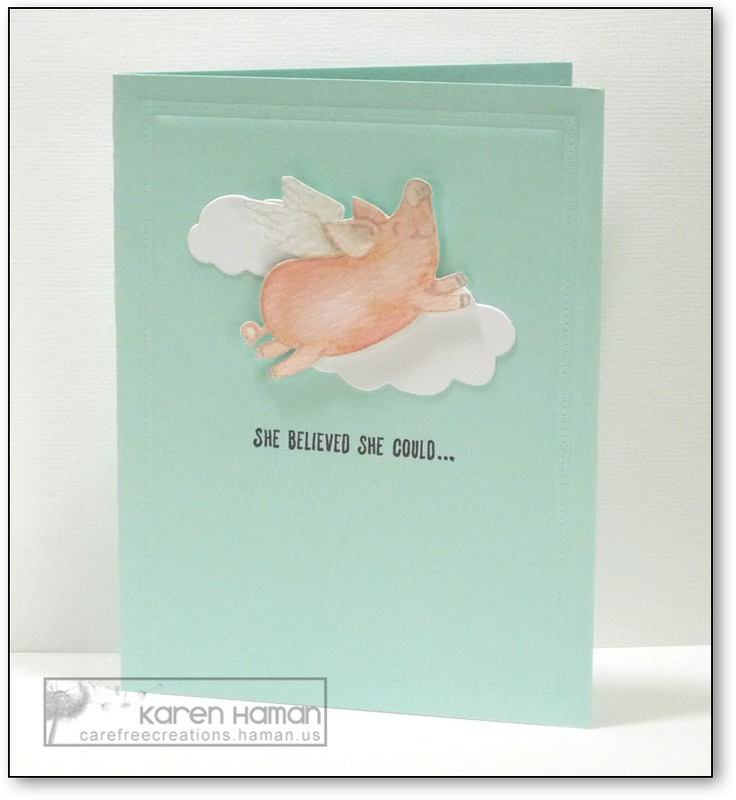 Check out the latest challenge – BELIEVE! I just had to break out this piggy set when I saw the challenge cue! It is so adorable! I did no-line watercoloring on the image – started with a light grey ink. This is actually my second attempt with this image because the first time I did it I colored the wings first. If you haven’t tried the no-line technique before, the lines that you color near first “gather” the ink you color you use and the lines are a bit darker than the open space around it. Since I started with the wings, the “shared” lines (like the piggy’s back & ear) ended up being the grey color that I used to shade the wings which made the wings look more prominent than the pig did and I did not like it. I stamped the image again and this time started coloring the piggy first (I also did a much lighter shading of the wings). 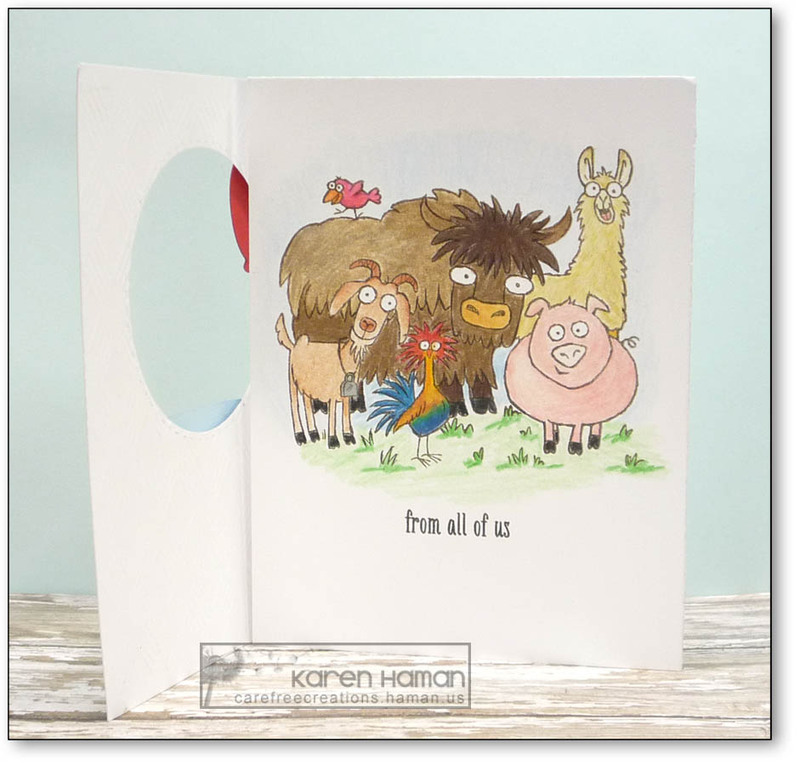 My original layout for this card was landscaped with the sentiment on banners. It started to be too much for a clean & simple challenge. I set that idea aside and decided to use a go-to layout for CAS cards. I did add an embossed frame to add a touch of interest. My card is pretty literal with the sketch (minus the layering). I know I could have stamped a little scene and still had the sentiment on the panel, but I decided to make my sentiment the focus. 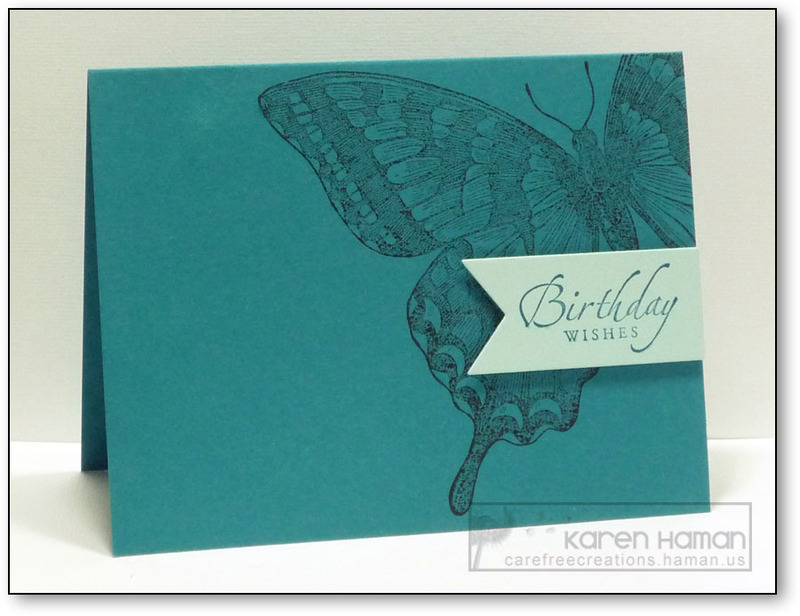 This also let me pull out some pattern paper and go non-white for the card base. These bold colors had me all over the place – tons of ideas! I settled on this chicken set (from, um, last year, that I hadn’t inked up yet). 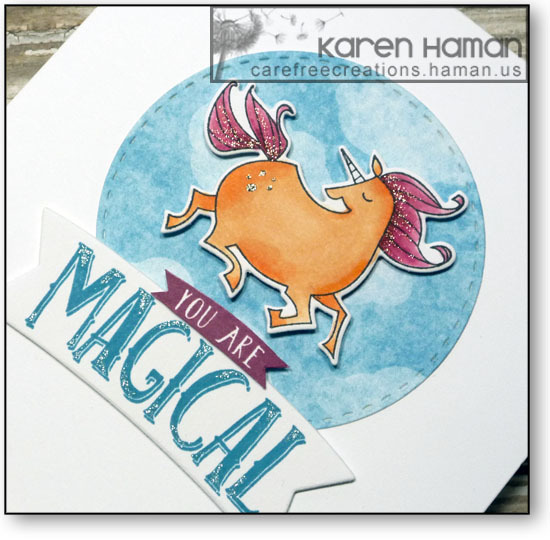 I love the fun images and the size of the images is also quite good for a cas stamper! I hadn’t inked them because they are not photopolymer and I can’t ever tell where I’m stamping. Instead of masking and crossing my fingers, I chose to fussy cut the images. I adhered them, as I like to do, with just a bit of glue to their bellies so the rest can leave nice little shadows. I did add a bit of shadow under their feet with a Copic – just to reinforce their grounding. Because the images are so bright, and the biggest thing on the card, their design weight was making the card feel very lopsided. I added a strip of Bermuda cardstock on the left to help balance it out. It still isn’t perfectly balanced, but at least it feels a bit more anchored. If I was to do it again, I’d probably not stamp the sentiment on the panel, and, instead, put the Bermuda strip over the white panel and stamp the sentiment up that. 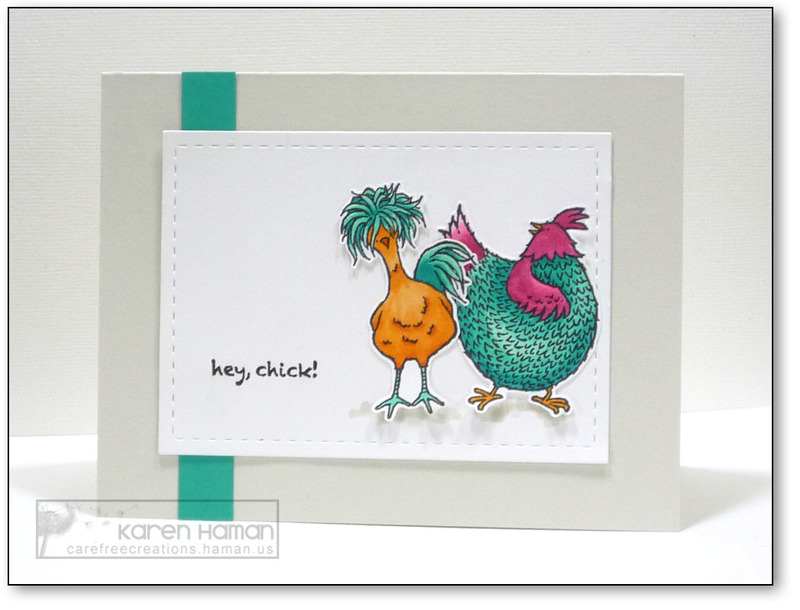 I did toy with the idea of stamping a chicken wire background on the card base, but I felt that was a step too far for cas (for me – everyone has their own definitions and it certainly wouldn’t have looked bad, I’m just trying to honor the challenge). It is time for another CASology challenge. Check out the latest challenge – Bug! I went with the obvious interpretation of the cue – mostly because I wanted to break out my Twinkling H2Os! Since I knew I would be watercoloring, I stamped my image with a Palette ink first. After coloring the image (and letting it air dry), I then overstamped with Brillance to get the dark black color (love having a MISTI!). 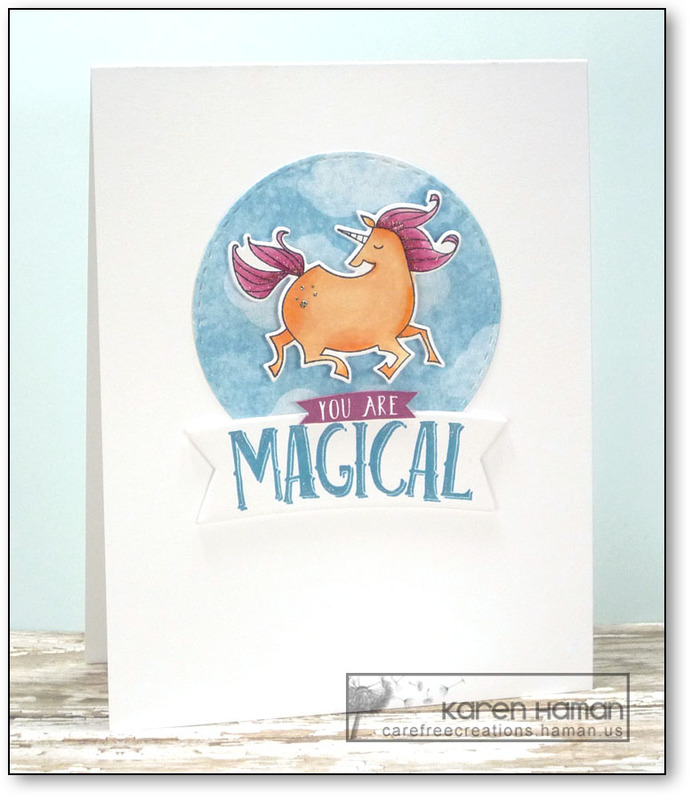 I will say I tried quite a few stamp images before I even got to unicorns and when I started this card I wasn’t really sure where I was going, but I am so happy with the final result. The sparkles add just the perfect touch. It is time for another CASology challenge. Check out the latest challenge – Butterfly! I love this huge butterfly image! 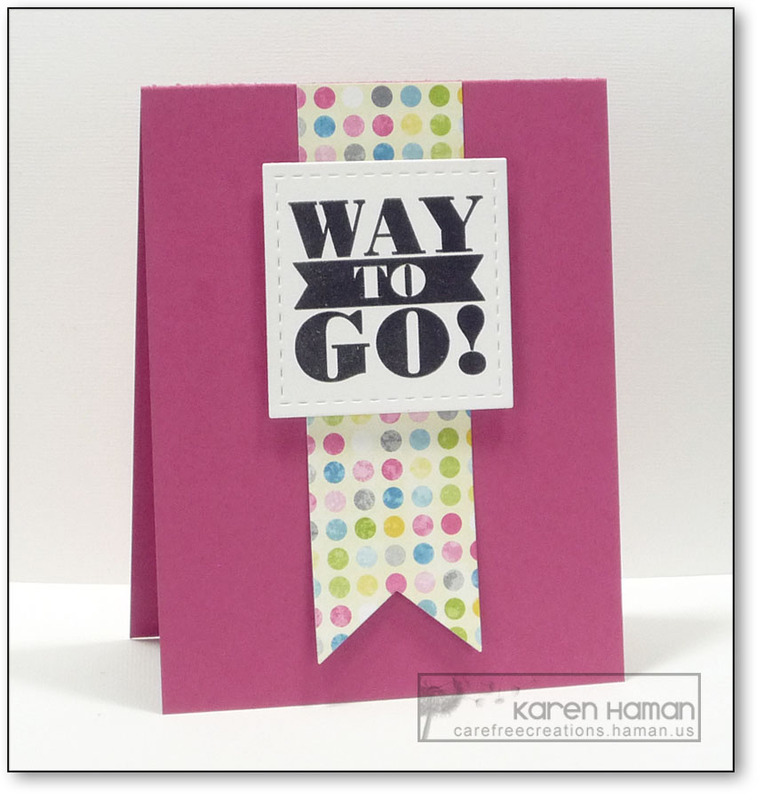 To keep the card CAS I stamped the image off the edge and kept the number of colors to a minimum. 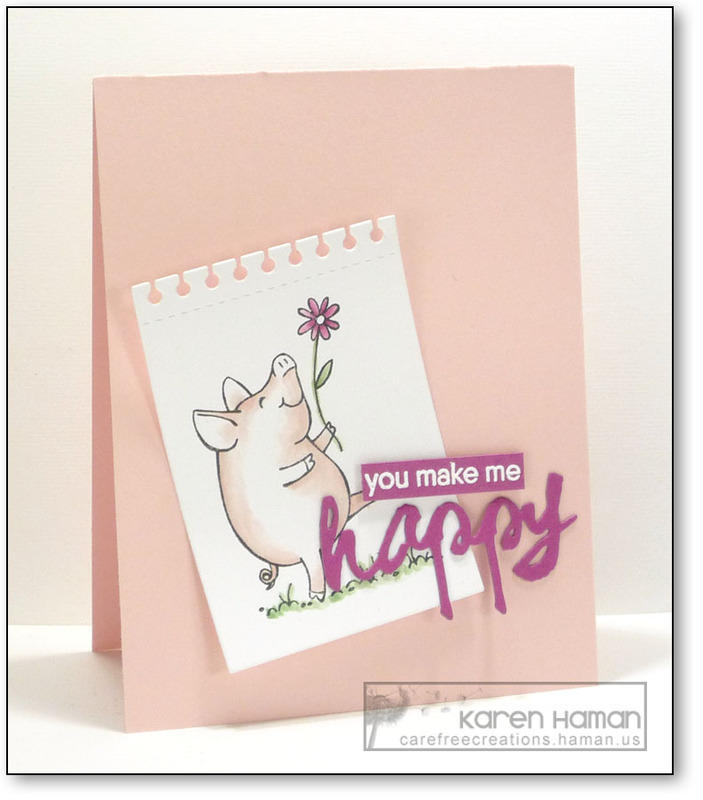 As soon as I saw these colors, I knew I had to break out the piggy set (so adorable!). I used a blender pen to color the image (and now I remember why I don’t like that technique, lol). 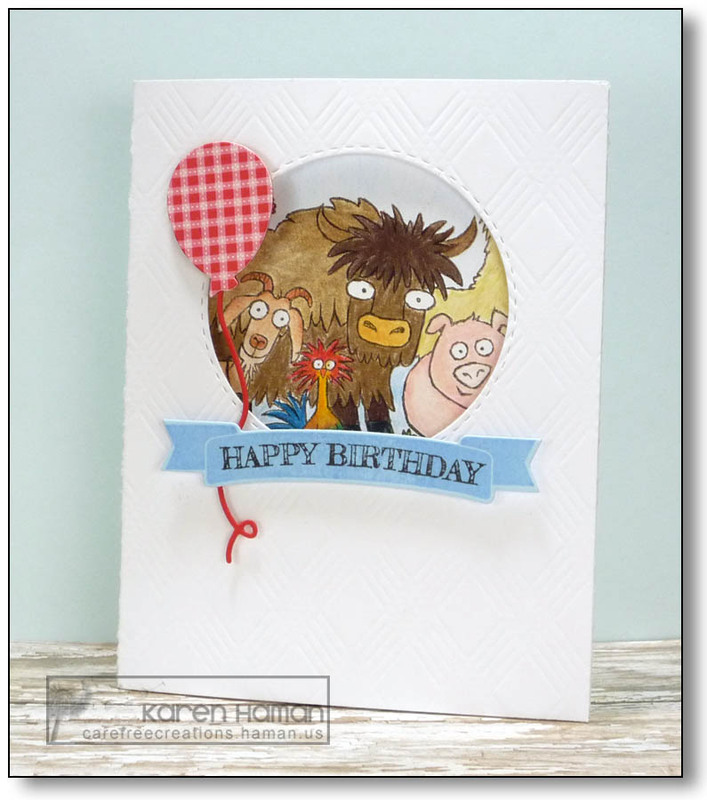 Still, I quite like this card…it does make me happy! The notebook paper die is adhered with just a little bit of tape in the center so that I could curl the edges up. Just a touch to help the card have interest. This weekend I’ll be posting my cards from my January 2016 time with the Splitcoast Dirty Dozen. Each month has a theme; if you are a member of the Fan Club, you can view more details about this card and its relation to the challenge here. 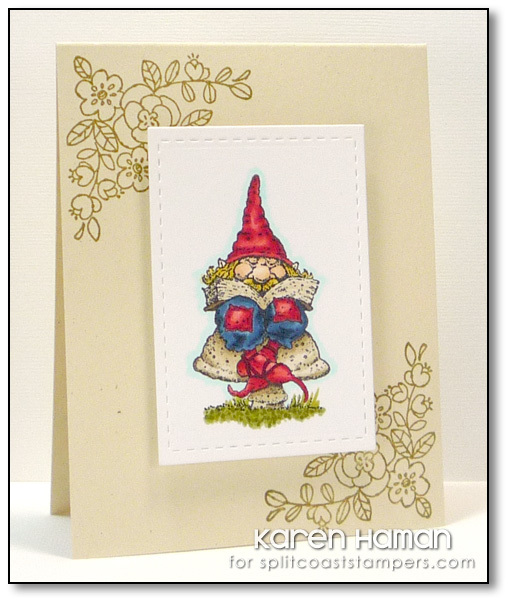 This is an old Stampin’Up set, but I love the gnomes in it! I broke out my Copics for this one. No sentiment…just focusing on the little dude reading! I really love the cream colored base with the white panel…I need to do that more! This card is a tri-fold card. I made 2 card bases and taped them together so that the window flap opens to show the herd image which then opens to a blank inside. I colored the image with colored pencils (you can click the image to see it larger). I don’t have any gamsol, so this isn’t really blended at all. I did use a blending color pencil, but it didn’t help much. I’m still deciding if I want to get some gamsol, or just stick with my Copics. Since the balloon shows through the window, I backed the pattern paper balloon with a cardstock balloon (the string die sandwiched between). I just liked the finish.